Do high blood glucose levels increase your risk of osteoporotic fracture? Are blood glucose levels and dietary glycemic load linked to bone health? Spanish researchers recently investigated whether this possible association is linked to the risk of osteoporotic fractures in the elderly. As we age, we have an increased risk of developing osteoporosis, a disease characterized by bones becoming weak and fracturing. Bone mineral density or bone mass decreases over time resulting in a high risk of osteoporotic fracture especially in the spine, hip, wrist or shoulder. Other factors such as lifestyle, genetics, specific diseases such as diabetes and medication also contribute to the incidence of osteoporotic fractures. While diabetes can contribute to a higher risk of fractures, results have been contradictory regarding the association between bone mineral density and type 2 diabetes. This suggests the relationship between diabetes and bone disease is complex. It is known that high blood glucose levels are harmful to bone health, causing inflammation and oxidative stress. It is also known that high blood glucose levels play a role in many pathways involved in maintaining bone health. Therefore, diets that help control blood glucose levels have the potential to have a subsequent positive impact on bone health, decreasing the risk of osteoporotic fractures. A number of clinical trials have shown that glucose and insulin levels increase after individuals eat foods that are high in the dietary glycemic index and dietary glycemic load, such as carbohydrates, whereas low glycemic index diets have been shown to be effective for controlling blood glucose levels. Low-glycemic diets have also been linked to healthier inflammatory and oxidative systems. However, no study has previously investigated the relationship between the effect of the dietary glycemic index and dietary glycemic load with the risk of osteoporotic fractures. 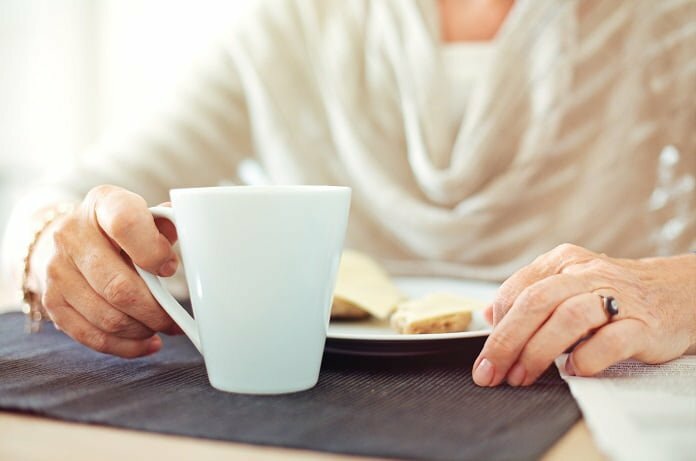 To fill in this research gap, scientists in Spain recently conducted a study to assess whether there is a link between dietary glycemic index (DGI) and dietary glycemic load (DGL) with the risk of osteoporotic fractures in the elderly. Their results were recently published in the American Journal of Clinical Nutrition. The study included 87 participants between the ages of 55–80 years who participated in the PREvención con DIeta MEDiterránea (PREDIMED)-Reus study and were at high risk of cardiovascular disease. Food-frequency questionnaires were used to estimate DGI and DGL for each participant. Medical records were reviewed to obtain the data on osteoporotic fractures. The results showed that after the average follow-up period of 8.9 years, 114 new osteoporotic-related fracture cases were reported. Participants who were at the highest risk of osteoporotic-related fractures were those with the highest DGI and DGL values compared to participants who had the lowest DGI and DGL values. Therefore, the results of this study suggest that high DGI and DGL are linked to a significantly higher risk of osteoporotic fracture in an elderly Mediterranean population who are also at risk of cardiovascular disease. Further research not only to confirm these results but also into how diets high in DGI and DGL effect bone health and to determine the underlying potential mechanism for causing osteoporotic fractures is required. Reference: García-Gavilán JF, Bulló M, Camacho-Barcia L, Rosique-Esteban N,Hernández-Alonso P, Basora J, Martínez-González MA, Estruch R, Fitó M,Salas-Salvadó J. Higher dietary glycemic index and glycemic load values increase the risk of osteoporotic fracture in the PREvención con DIeta MEDiterránea(PREDIMED)-Reus trial. Am J Clin Nutr. 2018 Jun 1;107(6):1035-1042. doi:10.1093/ajcn/nqy043.